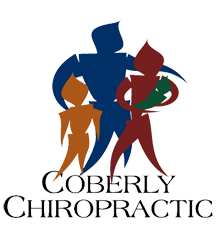 Coming to Loveland: Doctored, The Movie – Coberly Chiropractic, Inc.
Why do so many people think chiropractors are “quacks,” nutritional supplements a waste of money, and acupuncture a fringe therapy? Is it because the “Medical Monopoly” spends millions a year attacking, ridiculing, and trying to discredit these natural therapies? The answers are almost beyond belief, until Doctored takes us into the courtroom with five chiropractors who, having been labeled “an unscientific cult,” fought back and won a landmark verdict. Join us for an exclusive showing at the Rialto February 25 at 6:30 p.m. Then stay after for a VIP reception. If you haven’t heard or you haven’t got your tickets, get them now now! January 25th is the last day for the early bird special of $10 per ticket. To order call 970.226.6556.